Hold your camera over your artwork to check how closely it matches your reference photo. Do this early and often to make sure that you create a perfect representation in your artwork. When identifying colours, our eyes are easily tricked by the other colours nearby. Use this tool to pick out colours and save them to your swatch for later. Also, the closest Faber-Castell Poloychromos, Prismacolor Premier or Caran d'Ache Luminance pencil name is shown next to the colour you picked. 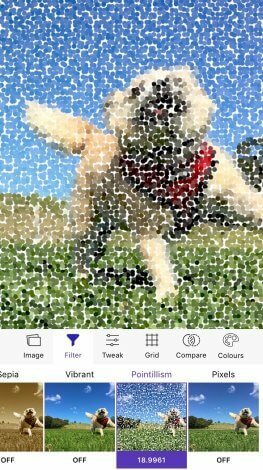 No photo editor would be complete without the ability to apply filters, so we've included the filters noted as being most useful for artists. 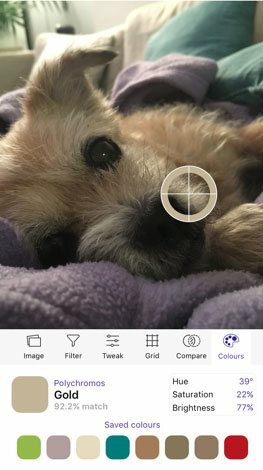 Use these filters to prepare your image, examine the lights and darks, or pick out colours better. 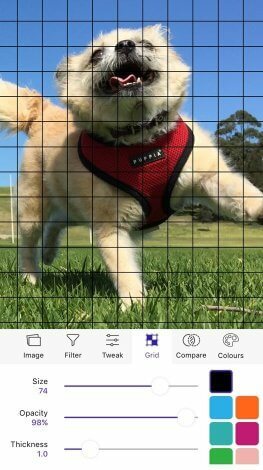 ‣ Overlay a grid to accurately recreate your subject. 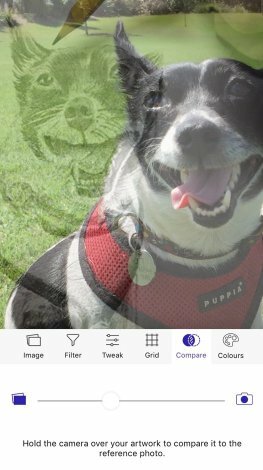 ‣ Print and share your image directly from the app. ‣ See how many hours you've been working on your image. ‣ Lock to fullscreen, tape some paper to your iPad and trace.